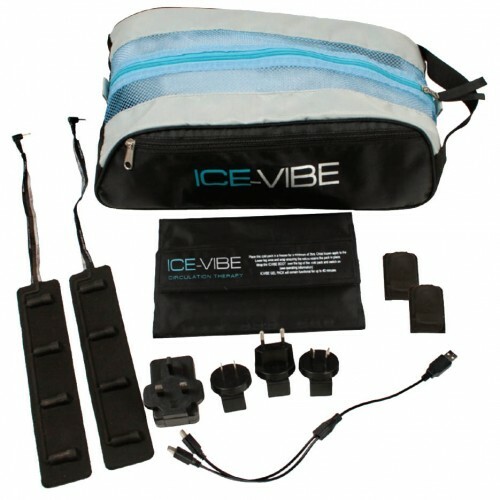 Ice Vibe BootsICE-VIBE boots are rechargeable vibrating boots that boost circulation. Using the boots before you ride can assist you to prepare your horses legs for exercise in the stable, they do this by increasing blood flow to the tendons and ligaments making them more elastic, which can help reduce the risk of injury.ICE-VIBE is set at the optimum settings for different treatments.Level 1 - Treatment of soreness & swelling. Use with or without cold pack. Level 2 - Boosts circulation with or without cold pack. Can be used to prepare leg for excercise. Level 3 - Stongest setting cold therapy after excercise to repair wear & tear.